You know what happens when I post a pic of a bunch of awesome whiskeys that I intend to review? I find something else. 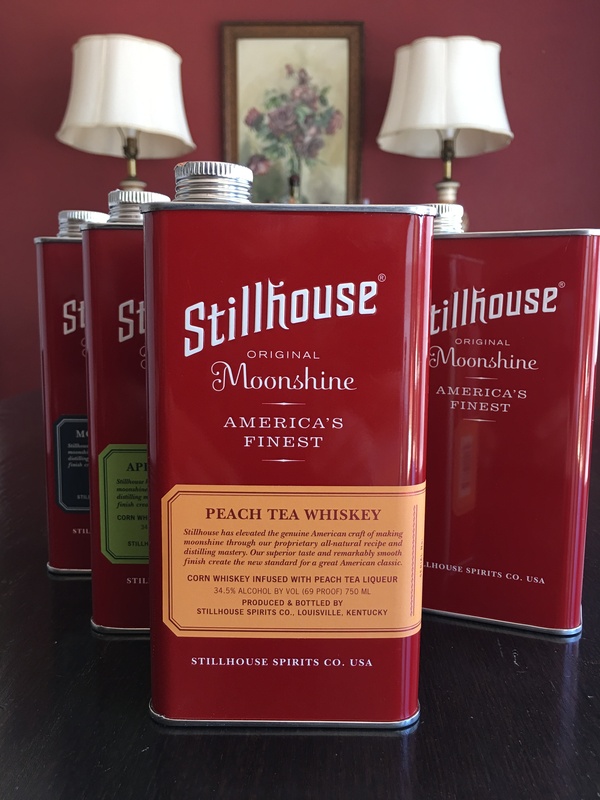 Today’s something else is Stillhouse Moonshine. Specifically, Original, Peach Tea, and Apple Crisp. Yes, I’ll be reviewing THREE boozes in ONE post! Can you handle it? …can I? 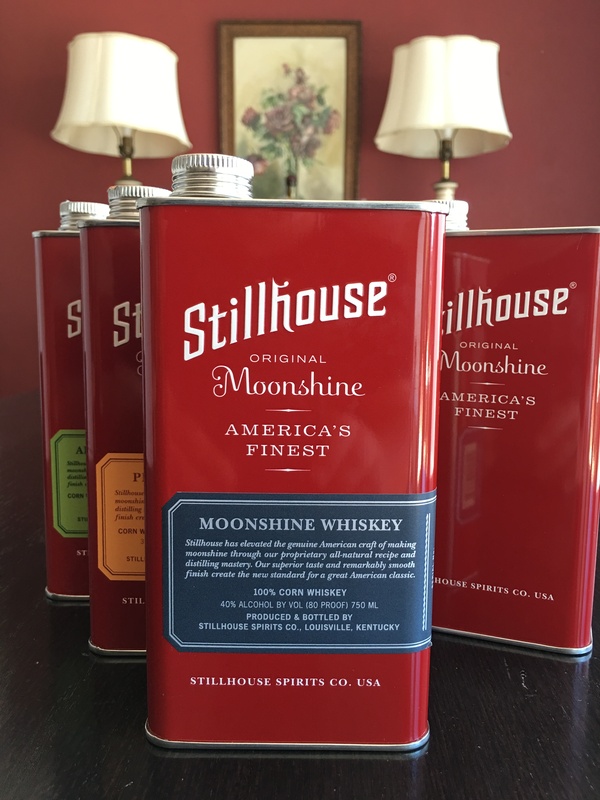 Stillhouse Moonshine Whiskey “Original” is not what I’d call moonshine. It’s a 100% corn-based neutral spirit, unaged. So I won’t quibble there. Where I will quibble is: everyone makes “moonshine” now. I’ve already talked up Ole Smoky, of which I am a fan. But there’s also H.Walker, King’s County, Manhattan, Dutch’s, Midnight Moon, Tahoe, and so on and so on. So, did Stillhouse do it right? I mean, if you can’t be the first, you have to be the best, right? Well, here’s my real quibble, a serious knock against Stillhouse: 80 proof. Haven’t we all come to expect any unflavored, unaged corn whiskey to be cut to 92 proof minimum? Heck, Ole Smoky’s White Lightning is at 100 proof and comes in $5 a bottle cheaper than Stillhouse. That said; it is undeniably smooth, a tad sweet, and quite mellow. It reminds me more of a silver tequila than a whiskey. But there’s no body and no depth. 100% corn means zero complexity. And without a nice high-proof bite, what is there to make me want more? This stuff is f***ing good. So, to get the flavors added, Stillhouse opts to “infuse” their base neutral spirit (at 80 proof) with a liqueur. This further drops the proof from a tepid 80 to a meek 69. I could complain about the low proof all day, but I won’t. Why? Clearly, Stillhouse’s neutral corn base was *meant* to have flavors added. And the Peach Tea that Stillhouse added here was pure genius. The peach is right in your face from the get-go. From the nose, to the taste, to the finish, you get peaches. The black tea notes are more subdued; present, but nowhere near as prevalent as the peach. And somehow this Peach Tea, with its lower alcohol content, comes across as hotter than the “Original” style. There’s a nice mellow heat present as the hooch makes its away across your palate. Smooth and sweet, this one is great with an ice cube, while sitting in your favorite chair on a warm day. Clearly, Stillhouse’s neutral corn base was *meant* to have flavors added. 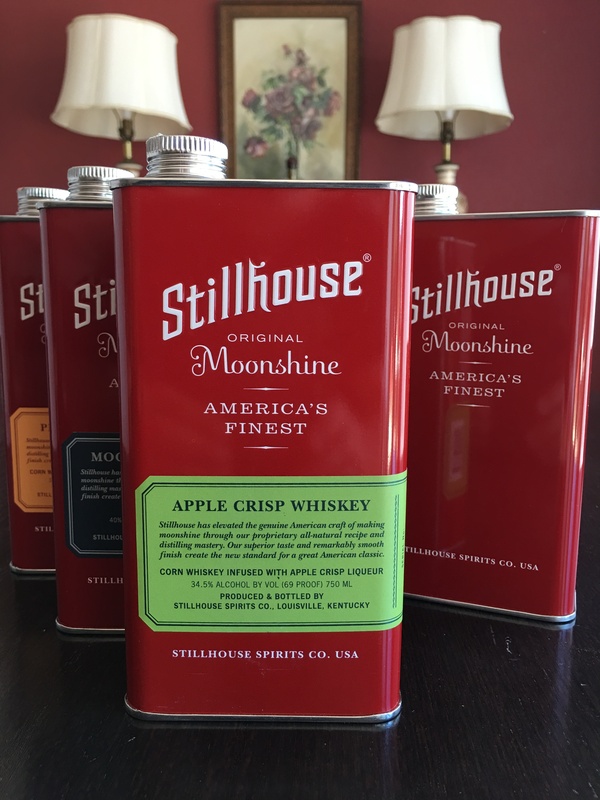 Stillhouse Moonshine’s Apple Crisp Whiskey is one of the best flavored moonshines I’ve ever had. This is it. I have no idea of their other offerings are any good or not, but it doesn’t matter. Apple Crisp is *it*. It’s like an alcoholic Green Apple Jolly Rancher. Apple Crisp is sweet apple on the nose, sweet apple across the palate, and warm sugar on the finish. It’s like a Granny Smith, Jonathan, and Fuji apple all hopped into a blender with demarara sugar syrup, and then that blender caught fire. And then I drank it. Sweet, smooth, crisp and warm, Apple Crisp is the best of this lot. So. I’d be remiss if I didn’t address the quirky can. Yes, it looks like turpentine. And I believe that plays in Stillhouse’s favor. Cutesy little glass jugs and Mason jars have been done to death. No one thought of using paint thinner cans. Personally, I freakin’ love the cans. 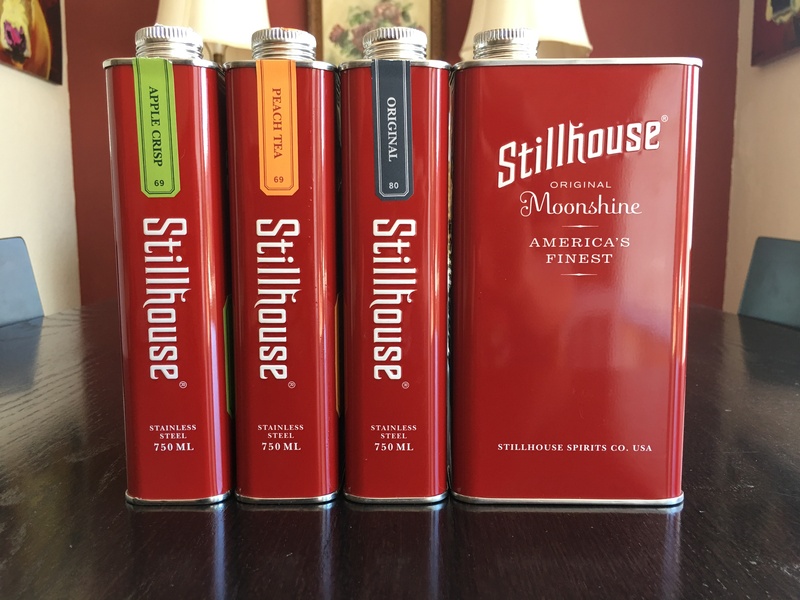 Stillhouse will be the ONLY hard alcohol that goes with me on camping trips. …well, except Tincup. Gotta have Tincup, and you’d have to throw that bottle against a rock for it to break. But no worries about breakage with a stainless steel can!